A schoolgirl shoplifter is to be banned from entering any stores in Northern Ireland alone, a High Court judge has ordered. Mrs Justice Keegan directed that the 14-year-old from Craigavon, Co Armagh can only be in retail outlets if she is accompanied by her mother. The girl, who cannot be identified because of her age, faces one charge of stealing two pairs of jeans in December 2016. She has pleaded guilty to the theft from TK Maxx in the Rushmere Shopping Centre, lawyers confirmed. The court also heard she has a record for previous shoplifting incidents from when she was aged 11. According to the prosecution she was seen in branches of Dunnes Stores and Boots earlier this month - a breach of previous release conditions. As the girl applied for bail again, Crown lawyer Natalie Pinkerton pressed to have her completely barred from the Rushmere Centre. 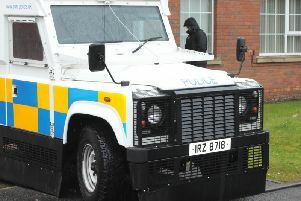 Granting the application, the judge also imposed wider restrictions across Northern Ireland. “She does not enter any other retail shops under any circumstances at any time, unless she is in the company of her mother,” Mrs Justice Keegan ordered. The girl must abide by a curfew, and can only leave home without an adult during her school hours.